Who was hiding a secret from the rest of the family? 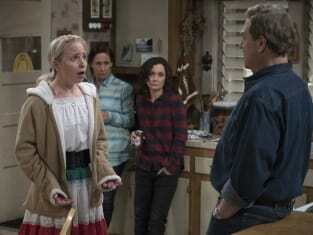 That was revealed on The Conners Season 1 Episode 5 when the family was shocked to learn all about the secret and questioned how it would affect them going forward. Meanwhile, Dan was suspicious that Becky was not sticking to her end of the deal when it came to her drinking, and he took action. Also, Jackie offered English lessons to a Casa Bonita busboy who was desperate.